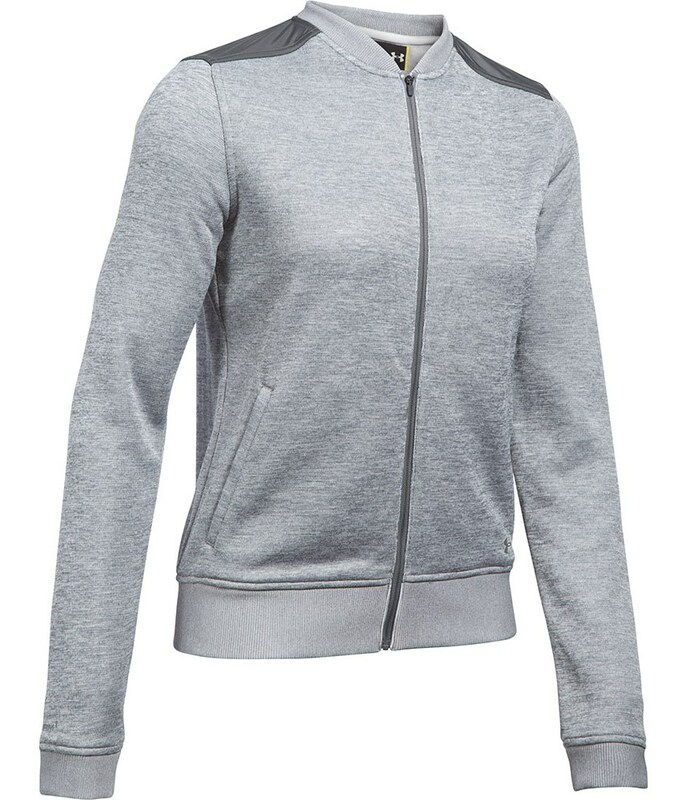 As with most UA items, the fit is perfect for me (I'm 5'7" size 12 and ordered a medium). 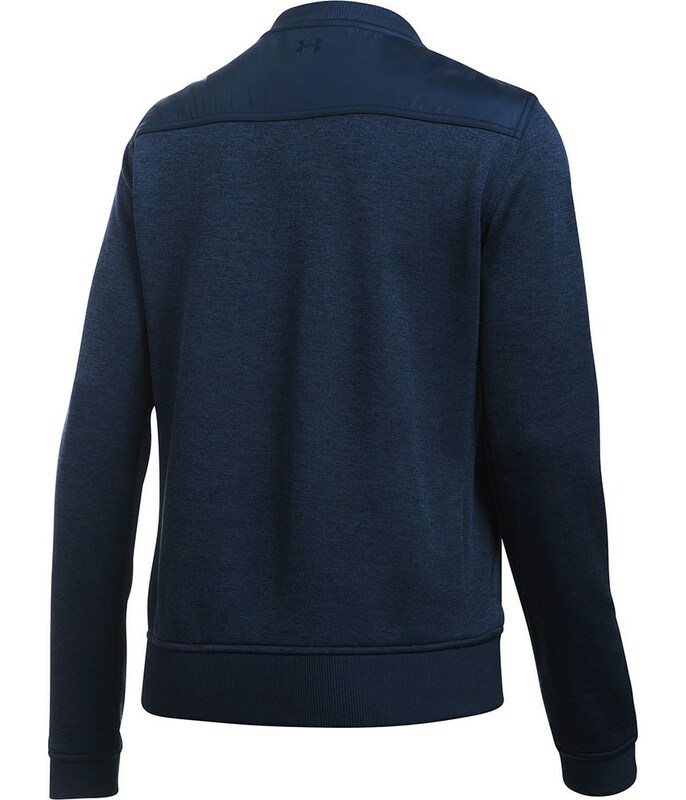 It's a really comfortable jacket for the autumn weather and with it being a 'storm' fabric it's also good for light showers, but nothing more heavy. 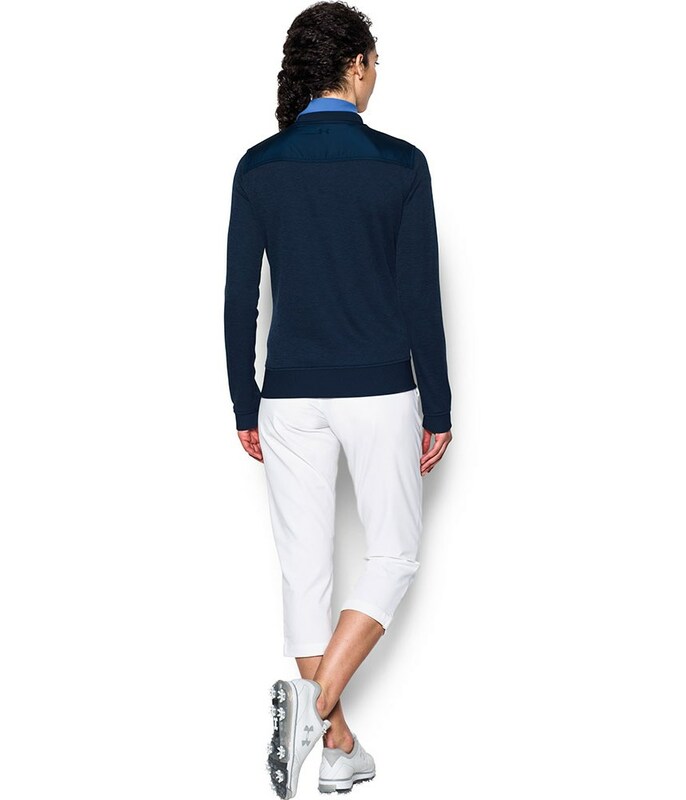 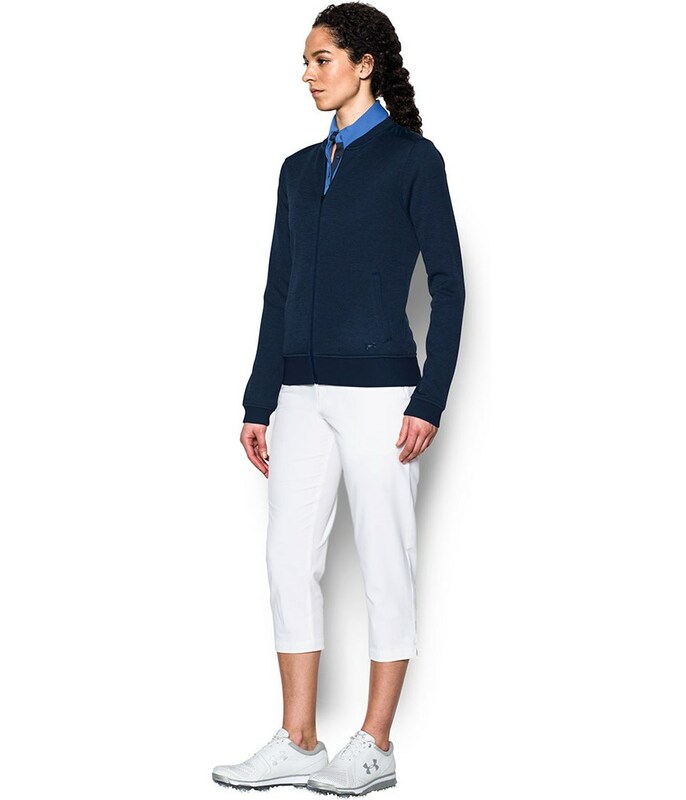 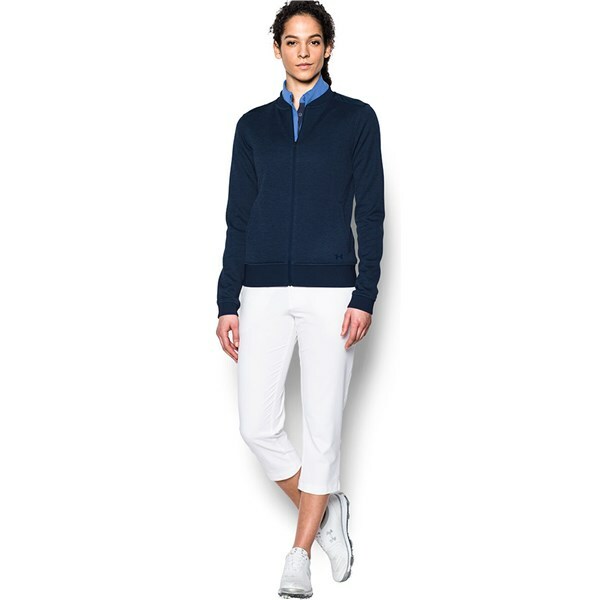 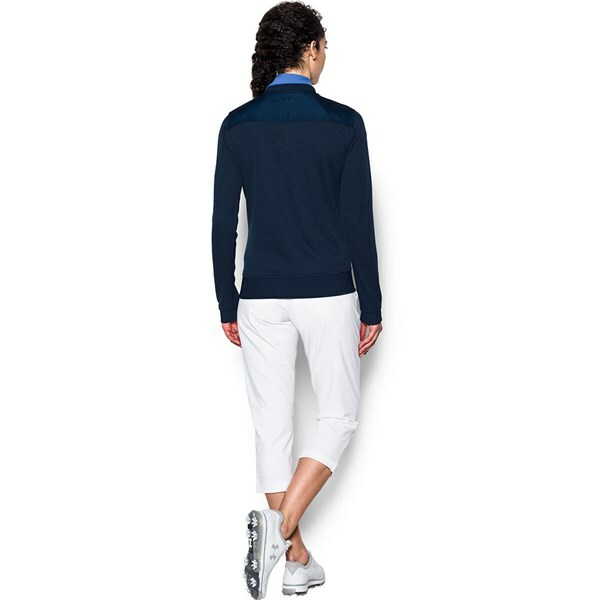 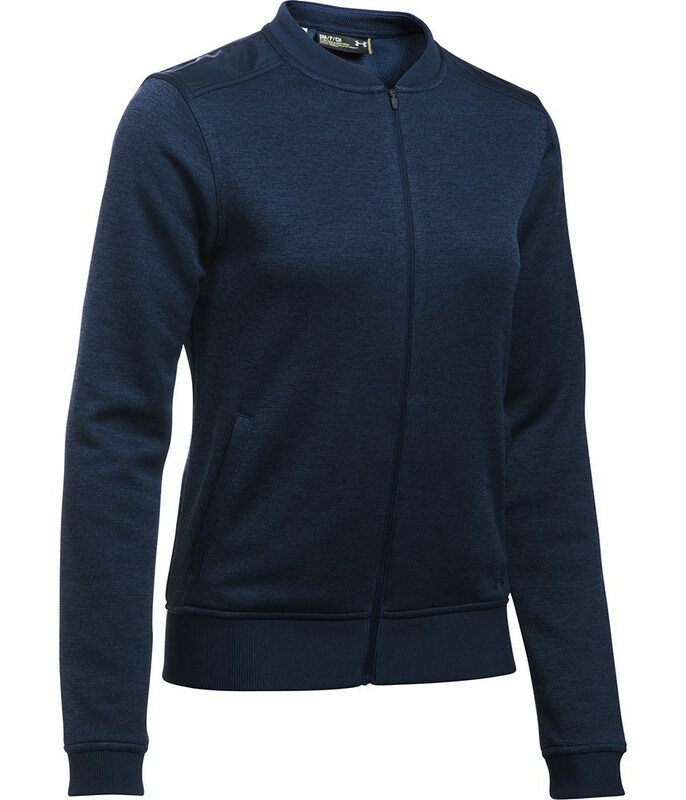 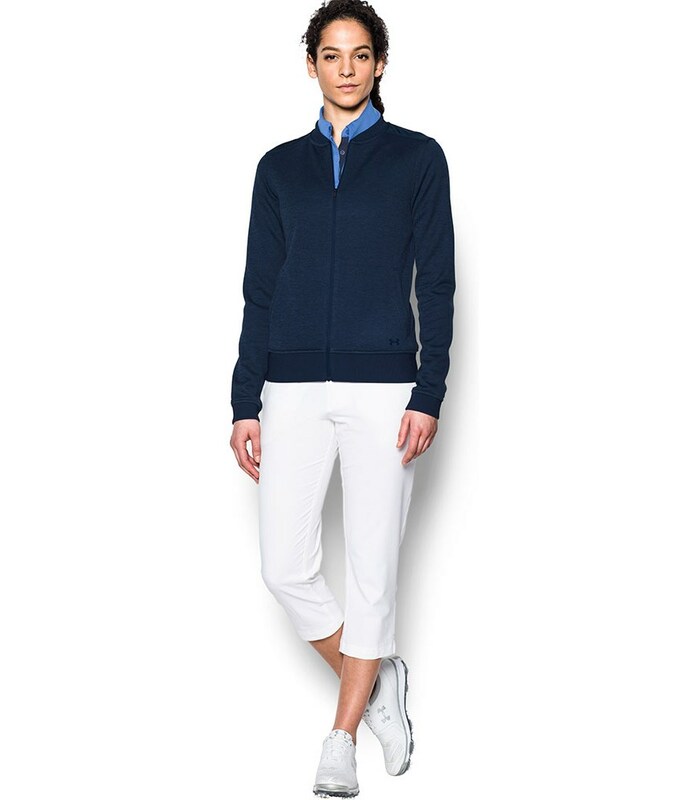 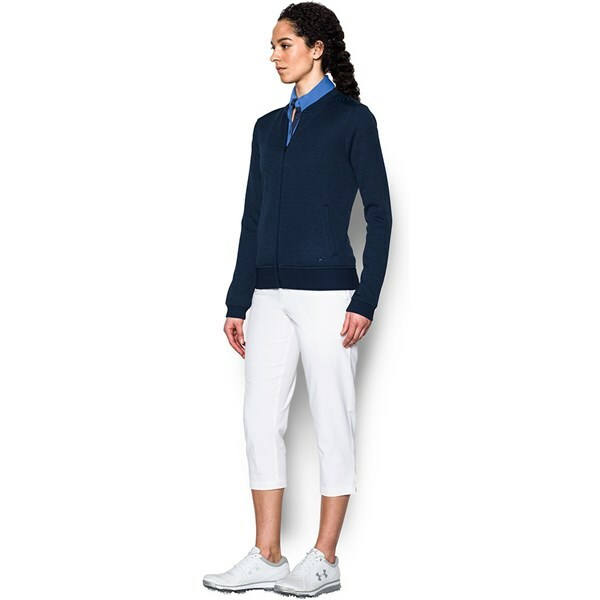 The Under Armour Ladies Storm Sweater Fleece Jacket has a versatile fitted style that can be worn and enjoyed on or off the golf course. 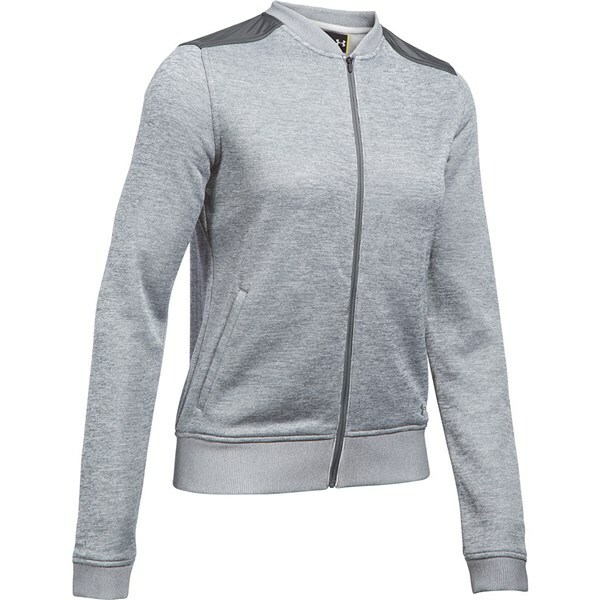 Under Armour have featured their signature Moisture Transport System to ensure sweat is quickly and efficiently wicked away to keep you dry and light. 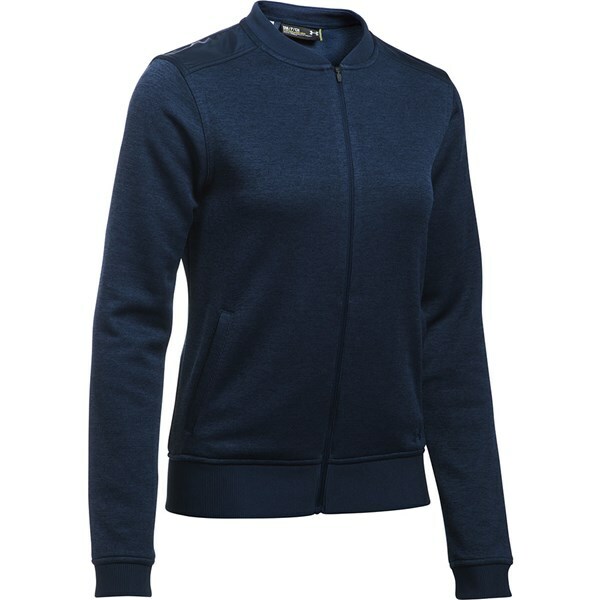 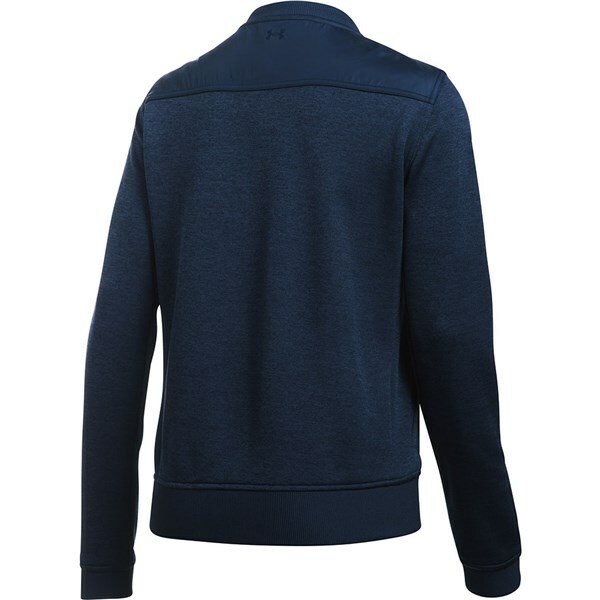 The durable sweater-knit fabric provides excellent warmth and comfort whilst the rolled forward shoulder seams make swinging a club restriction-free. 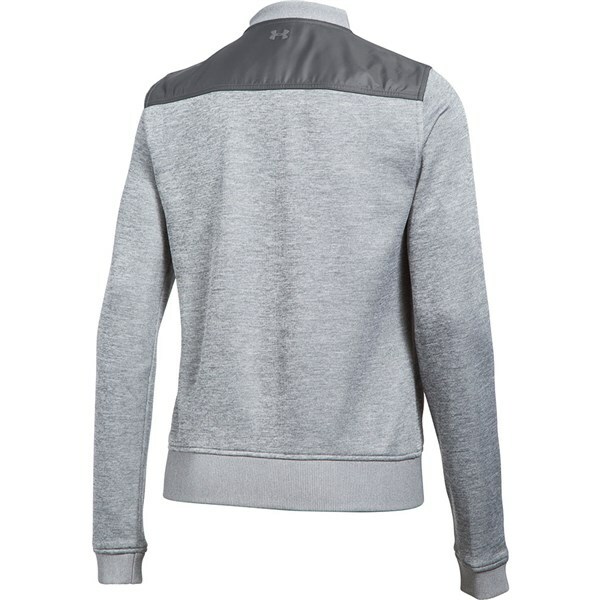 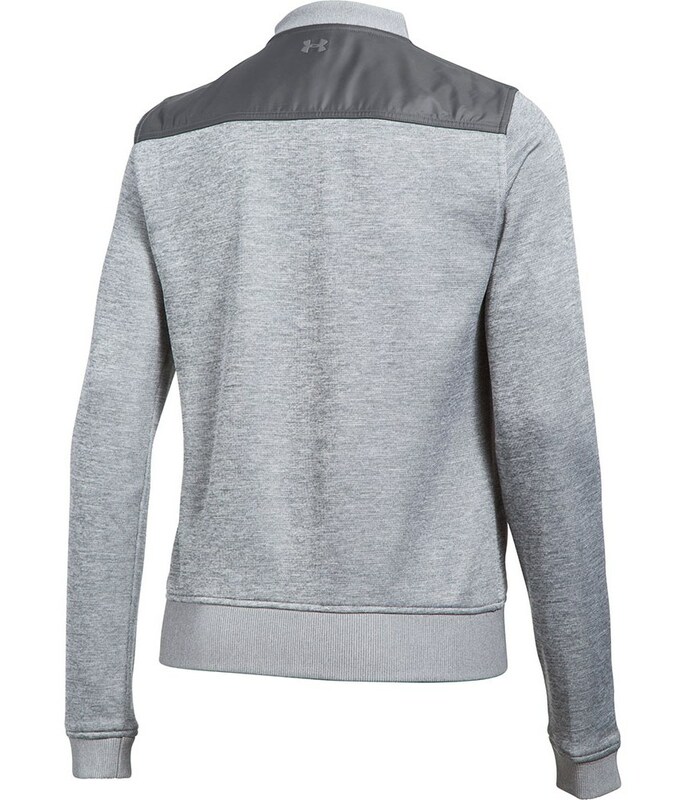 The UA Storm 1 finish has been applied to the jacket, giving it the added benefit of being water-resistant.